The second Multiverse is for Wonder Woman. 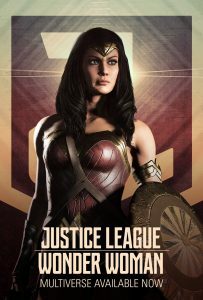 The Justice League Wonder Woman Multiverse is a difficulty level 3 multiverse that consists of 5 different events. After decades of costly wars, a fragile peace between nations has emerged on Earth 1117. The powerful dictator of Kahndaq threatens that peace with his belligerence. Pacify him. The completion of each single event will grant you one piece of the Justice League epic gear. The only exception is the battle with Black Adam which will grant you only three platinum mother boxes. 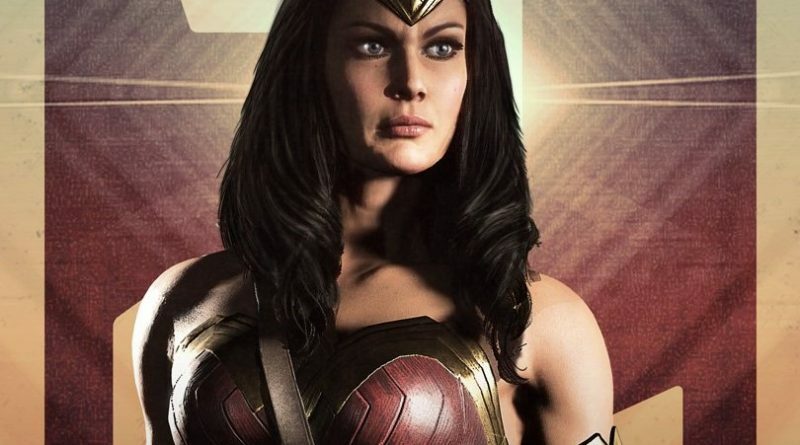 This Multiverse requires that you play as Wonder Woman. 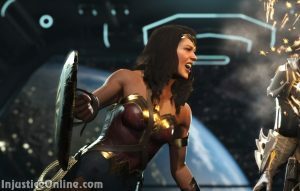 It is wise to level up your Wonder Woman as much as possible as you will be facing a level 20 Black Adam in the Stop Adam event.